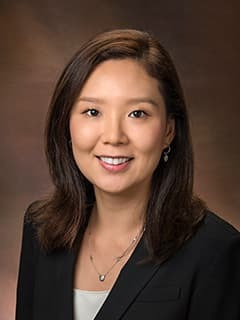 Juhee Lee, MD, is an attending physician in the Division of Allergy and the Immunology Service at Children's Hospital of Philadelphia. Lee J, Shuker M, Brown-Whitehorn T, Cianferoni A, Gober L, Muir A, Verma R, Liacouras C, Spergel J. Oral viscous budesonide can be successfully delivered through a variety of vehicles to treat eosinophilic esophagitis in children. J Allergy Clin Immunol Pract. 2016;4(4):767-768. Ram G, Lee J, Ott M, Brown-Whitehorn T, Cianferoni A, Shuker M, Wang M, Verma R, Liacouras C, Spergel J. Seasonal exacerbation of esophageal eosinophilia in children with eosinophilic esophagitis and allergic rhinitis. Ann Allergy Asthma Immunol. 2015;115(3):224-228.